This week, we’re taking a look at Sasha’s POV in the Arctic. What was he thinking? Why did he make the choice he made? This prompt comes from Hikari, who gave a whole bunch of amazing prompts that I can’t wait to write! Thanks, Hikari! Spoiler warning: This Byte reveals the ending of Enemy Within! Do Not Read if you haven’t finished Enemy Within! The hot, slick slide coursing through his veins, licks of power that swelled his muscles, but faded fast. Weakened spurts tried to keep him going. The exploding RusFuel station. The dogfight in the plane. The crash, and saving Sergey. Storming Madigan’s Arctic base, and his rusted destroyer. 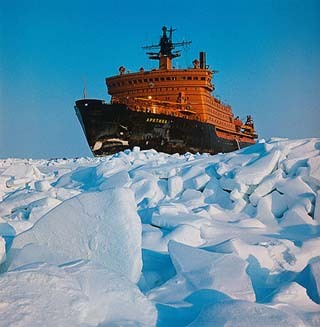 By the time he followed Ethan, Adam, and Sergey into the pitch black, fuel-and-salt-stench hull of the ice-bound destroyer, he’d wrung every drop of adrenaline from his weary system that he could. Sasha took each step forward for one man: Sergey. Sergey wouldn’t die before him. He wouldn’t die at all, if he could help it. A shot in the dark, watching Ethan and Adam set the explosives around the destroyer’s inner hull. Burning, in his shoulder. Sergey’s voice, calling his name. No, damn it, he wasn’t supposed to go first. He stumbled to his knees, trying to shield Sergey even as the lights flared on and a dozen men surrounded them both, weapons pointed at their heads. Being hauled to the top deck and bound. Sergey went limp against him, sagging into his restraints and the inevitable. Sasha’s mind spat one word, over and over and over again: Sergey, Sergey, Sergey. Ethan was tortured in front of them, Adam was beaten beside them, and Sergey sagged more into his side. This was the end. They’d come as far as they could go. He tried to salvage the tiny bit of strength he had left, pull on damaged muscle fibers and flood his body with oxygen. When the time came, he’d fight. He’d take out as many as he could, make it hurt, make them suffer for this. Maybe, if he took out enough of them, there’d be no one left to hurt Sergey. Finally, there was just bare-fisted reactions. White-knuckled, clinging to whatever came in front of his face. He saved Sergey, and then Sergey saved him. Together, they leaped from the broken deck and plunged into the icy waters. Sergey’s hands helped him onto the ice cap, and he reached back, frantic, an animal seeking its mate. That same word repeated in his mind, an endless drone that consumed his thoughts. Sergey, Sergey, Sergey. Too many targets. Too many threats. Jack needed to stop Madigan. Ethan was dying. He and Adam had half-empty rifles, and three men were stacked against them. Sergey went with Jack as he sent hot lead toward Cook and Paloshenko. Two against one. Safer than three against two nearly-empty rifles. Sergey was safer with Jack. When his bullets ran out, he ran for Paloshenko. Sergey, Sergey, Sergey. Keep him safe. Buy him and Jack time. He had nothing left against Paloshenko, aside from that mental drone, the klaxon in his mind, the mantra he repeated. Sergey. As if the word would give him strength, fill his depleted muscles with oxygen and blood and power. Sergey. A dream, one he’d dared to have, and tasted, once. Sergey. Sasha knew, from that first night he met Sergey, that he would die for this man. Paloshenko’s back broke first, and he used the very last curl of strength he had to plunge his knife into Paloshenko’s heart. Sergey, Sergey, Sergey. He thought he saw Ethan, painted in blood and bits of bone, sag against the ice, throw Cook’s broken body off. Scott, sliding on the ice, and then running for Adam, collapsed next to a pool of blood and another man. But the world was spinning, ice and snow and wind twirling and somersaulting, and he slumped to his knees as he whispered Sergey’s name to the wind. Russian soldiers swarmed the ice, penning in Madigan’s army. Half a submarine rested on its side, a trail of debris scattered in and around the deep gouge she’d left in her wake, leading to a blown hole in the cap. She must have busted through, but tore herself apart. A scratched American flag gleamed on a dented hull panel. Honolulu. American tropics, all the way up here in the Russian ice. He pulled out the IV bag and dropped it on the ice. Scott glared at him, but turned to Adam, breaking every rule of cleanliness as he re-used the IV line and stuck it into Adam’s arm. Battlefield medicine. Infection was better than death. A hum broke over their exhausted group, a high-pitched whine like a jet engine. Or a snowmobile. Jack and Sergey had left on a snowmobile, chasing Madigan. Who was coming back? Hope was not a Russian emotion. He waited for the quiet resignation, the acceptance that would sink in him like lead. Instead, he got hope’s deranged cousin, desperation, clawing at his bones. Like a frantic dog digging a hole, he felt his skin flay, his muscles tear, his bones shatter as he watched the dark dot on the horizon grow closer, closer. And turn into two men, two lost lovers returning from war. Ethan gasped, his fingers gouging the ice, and then struggled to his feet. They embraced, and their happiness was like a breaking dawn, a solar eclipse, a meteor shower igniting the sky. He was caught in the corona of their love, warmth bursting from them both, sheer, unadulterated joy. Sergey grabbed him and pulled him close. He smelled blood. Sergey had gotten himself shot, but he was all in one piece. They’d survived. Somehow, they’d all survived. It was a miracle. A Russian miracle, something that should never, ever had happened. All the thoughts he hadn’t allowed himself to think rushed in at once. Now what? He was supposed to die defending Sergey, saving his life. He wasn’t supposed to live beyond this icy hell hole. There weren’t supposed to be consequences for what he’d done. The dream he’d dared to dream, tasted. Stolen. That was Sergey, always thinking of the future. He was such an optimist, a disgusting optimist. They loved once, so they would love forever. They lived, so everything would be okay. That was not the Russian way. Sergey hugged Ilya, shouted with joy, held his best friend as they both cheered. Ilya had done it. He had given Sergey what Sasha never could: the future. He pulled himself away in bits and pieces. Parts of his soul escaped on the icy wind. He let go of dreams, of hopes. Wild imaginings. Step by step, he released every part and piece of himself. You knew it would end like this. You knew there was no future. You should never, ever have given in. Greedily, he kept his memories. Every touch. Every sigh. Every moment. Sergey had burned him, seared his soul, and he’d never recover from that. Sergey would, though. He always looked forward, never back. He’d move on, pour himself into Russia, into righting their country. Sasha would hide, slip away into the unreachable corners of their nation. There were more than enough places to disappear to, to become a ghost in. He’d have his memories, until the vodka and the depression ate through his body and his bones would end up scattered in the wilderness. Just like his old comrades had wanted a year ago. Maybe he should have just died then. This, leaving Sergey, was worse than waking up in the snow, bloody and beaten. At least then he wasn’t broken. He stared at Sergey, memorizing him. Committing his face, his body, the smile in his eyes, the curve of his lips, to his eternal memory, the hard drive of his heart. Sergey, Sergey, Sergey. “Hurry. I want you with me in the Kremlin. I have been dreaming of it.” Sergey squeezed his hand. My star. He loved that nickname, had burned up inside when Sergey had first used it. No one ever thought he was a star, certainly not their star. For a few days, though, he’d been loved, and he’d burned bright with love himself. But like all stars, he was burning out, and every step Sergey took away from him made his soul collapse into itself. A black hole was forming in the center of his chest, in the center of his heart. Maybe not even a year. Maybe just six months. He watched Sergey fly off, and the world bled away its color. Turquoise and aquamarine, crystal white and baby’s breath blue, the colors of the Arctic, smeared to gray. He ended up on a prison transport, flying to Lubyanka prison. Transferring all the prisoners was chaotic, and he slipped away from the FSB. He felt a clock on his back, ticking down the days he had left. North. He’d head north. Back to the ice. He’d freeze the burn of Sergey’s love out of his soul. Weeks later, he walked into his cabin in the Russian north, buried in the snow, off the edges of every map, and color roared back into his world. Timestamp: Sasha’s POV during the later parts of Enemy Within and the battles in the Arctic. I don’t know how you do it, but this was pretty much just as I was seeing it my head – absolutely amazing! Sasha’s feelings, bordering on obsession, are just something that make him such a fascinating character. The way his whole world ended and recentered around Sergey… yes, in a way I want to hit him over the head for being stupid, but on the other hand, having grown up and having lived the life he did, it is kind of understandable why he thinks he can’t have this. And of course, with his first instict wanting to protect Sergey, he thinks removing himself from the equation would help, the fool *sighs*. There’s so much I have to say, but I’ll begin with this: “Hope was not a Russian emotion.” So much of this post is about what it means to be Russian, not just for Sasha, but in general. I found it particularly moving, as I was reading “Enemy Within”, because it so poignantly highlighted the essential differences between Americans and Russians. One is dark, the other light. Perhaps I’m oversimplifying, but I’m sure you understand what I mean to say. And it’s a difference that draws me to each equally, perhaps because I (and don’t we all?) have bot the light and the dark within me. co-existing mostly peacefully, keeping me in balance. Poor Sasha needed that balance, and this excerpt shows he didn’t have it, as he didn’t for most of the story. But love…at the end of the day, love was his way back to the light side, to balance. For this reason alone, I love this byte! Then, there are your descriptions. One thing I’ve always admired about your work, Tal, is the crispness, the vivacious quality, the vivid imprint of your images. UYou make me SEE and FEEL and HEAR and TOUCH…it’s almost surreal sometimes. I am in awe of your ability to take me there, drop me into the moment, into the emotion, into the action. I just had to post a couple of the passages in this byte that touched me…just a couple, I promise. I don’t think there’s anything else to say, Tal. As usual, and as expected, you aced it…again! I love this. Thank you for sharing it with us. 🙂 Shutting up now. LOL!